Apple iPhone 6 vs Samsung Galaxy S5: What's Your Pick? After a long wait, people finally ushered the release of new iPhone, namely iPhone 6 and iPhone 6 Plus, respectively. By convention, people will compare the latest devices from Apple and its old rival Samsung. So, in this article, we have picked out iPhone 6 and Samsung Galaxy S5 which was unveiled on 24 February 2014 and released on 11 April 2014. In Apple iPhone 6 vs Samsung Galaxy S5, which will you vote for? iPhone 6 or Android flagship phone Samsung Galaxy S5? If you only have an ambiguous answer, why not read article iPhone 6 vs Samsung Galaxy S5 which will present specifications comparison side by side? Play DVDs on iPhone 6 or Samsung Galaxy S5? WinX DVD Ripper Platinum - Fast rip purchased or rented DVDs to iPhone 6, Samsung Galaxy S5 and other deivces with high quality. Play DVD video anytime and anywhere! 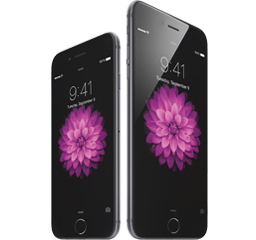 This section will present a comparison of Apple iPhone 6 specs and Samsung Galaxy S5 specs. Apple seems to realize that there is a trend towards large screen smartphone. The new iPhone 6 comes in 4.7 inches display and iPhone 6 Plus is bigger, 5.5 inches. Compared with Samsung Galaxy S5, iPhone 6 is much smaller. However, for some users, iPhone 6 with a relatively small screen may be the right one. Users can feel more comfortable in their hands. And small device is easier to carry. But when it comes to the screen resolution, iPhone 6 lags far behind Samsung Galaxy S5. According to this chart, Samsung Galaxy S5 seems beat iPhone 6 in every aspect. But don't ignore the fact that megapixel is not the only thing to tell whether it is a good camera. Thanks to an aperture of f/2.2 and digital stabilization, the camera of iPhone 6 has much to recommend it. New A8 processor is introduced in iPhone 6. However, there's no official statement about the speed of the processor. And benchmark tests show that it drags along 1.4GHz mark which seems to be far from the Samsung Galaxy S5's speed. But one thing, A8 chip is a 64-bit processor, while Snapdragon 801 is a 32-bit one. So, the speed of iPhone 6 maybe on par with that of Samsung Galaxy S5. Apple iPhone 6 provides more options for people. And the largest memory storage is even up to 128GB. But Samsung phone fans aren't supposed to be disappointed, because Samsung Galaxy S5 supports removable storage up to 128GB. Based on the specifications comparison between iPhone 6 and Samsung Galaxy S5, the later seems to be in the ascendant. Samsung Galaxy S5 features bigger screen, higher video resolution, higher megapixel, etc. Despite all that, iPhone 6 is more premium for some users, because of proper size, luxurious design, Retina display, iOS 8, etc. In fact, we cannot say which smartphone is better. We can only say which one is better for you. Anyway, both iPhone 6 and Samsung Galaxy S5, as big smartphone with HD display, are good ways to play movie videos. Surprisingly, it is also possible to play DVD movies on newly launched iPhone 6 and Samsung Galaxy S5. Dozens of great movies are released in 2014, say, Captain America: The Winter Soldier, The Amazing Spider-Man 2, Godzilla, X-Men: Days of Future Past, How to Train Your Dragon, Transformers: Age of Extinction. Some have released DVD, while some are not. Do you want to play the HD DVD movies on iPhone 6 or Samsung Galaxy S5 anytime and anywhere? Read the following guide to see how to rip DVD to iPhone 6 and Samsung Galaxy S5 for DVD backup or later flexible playback. How to Rip DVDs to iPhone 6/Samsung Galaxy S5? To rip DVD to portable devices, you should firstly get a DVD ripper which is capable of stably and fast ripping any DVD including copy protected ones to common video formats without damaging the video audio quality. Put these things together, and WinX DVD Ripper Platinum is the best way to go. 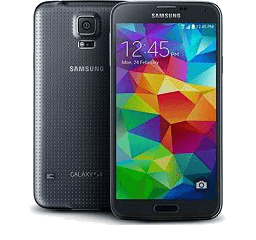 Coming with 300+ preset device profiles, it enables users to directly rip regular and commercial DVDs to Samsung Galaxy S5 and iPhone 6 supported file formats with ease. It also applies advanced technologies like High Quality Engine, Super Encode Engine and more to export high-quality digital file from DVDs quickly and smoothly. 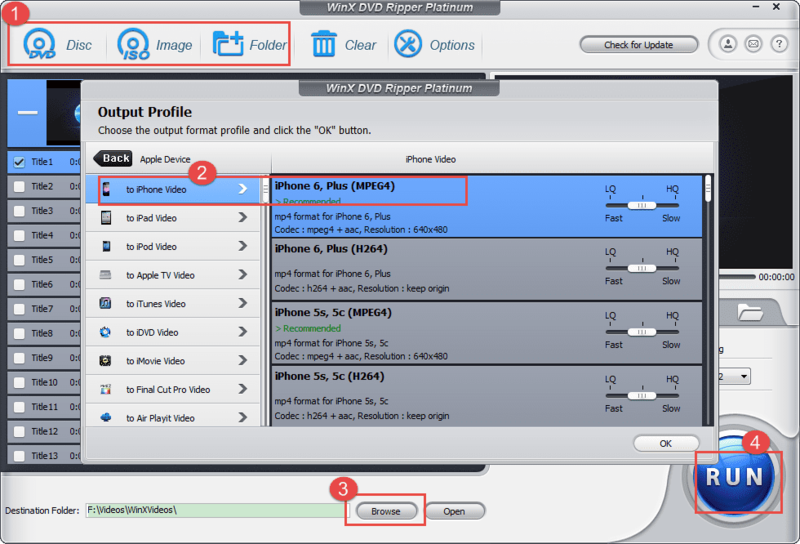 Download and install WinX DVD Ripper Platinum (or DVD Ripper for Mac) to rip DVD to iPhone 6/Galaxy S5 by following the steps below. Step 1. Insert DVD to DVD-ROM and click "DVD Disc" to load DVD information. Alternatively, you can load ISO image or DVD folder and then convert to mainstream video formats. Step 2. Select output formats compatible with iPhone 6 or Galaxy S5. To Samsung Galaxy S5, please go to Android Mobile > to Samsung Mobile Video > Samsung Galaxy S5 MPEG4/H264. Step 3. Specify a folder to save the files ripped from DVD. Step 4. Hit RUN to begin ripping DVD to iPhone 6 or Samsung Galaxy S5. WinX DVD Ripper Platinum is also available to rip DVD to Samsung Galaxy Note 4/Edge and other popular devices, such as iPhone5S/5/4S, iPad Air, Apple TV, HTC One M8, WP8, Surface Pro 3, Kindle Fire, PSP, Xbox, etc. It supports to rip DVD to MP4, MOV, AVI, WMV, MKV, MPG, M4V, MTS, MOD, FLV and more. No matter which you choose after reading iphone 6 vs Samsung Galaxy S5, WinX DVD Ripper Platinum is a must-have program which offers more options for DVD movie playback and collection. Other Option: If you want to convert HD MKV, M2TS/MTS, MOD or standard AVI, MPEG, WMV, M4V, MOV, RM and VOB videos for your iPhone 6 or Samsung Galaxy S5, WinX HD Video Converter Deluxe is your best choice. Even more, it helps download YouTube videos, make ringtones, make slideshow and edit videos for your iPhone 6 & Samsung Galaxy S5!